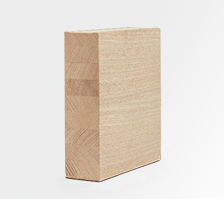 Wood products by Münchinger stand for the highest quality, sustainability and the best price-performance ratio. This applies to all products, no matter whether round logs, sawn timber or glued scantlings. With modern technology, we process the raw material in our factory to high quality glued window scantlings, laminated posts and beams, special compositions for demanding interior finishing and many other products – "made in Germany". We obtain our wood from sustainably managed forestry and control its quality at regular intervals. Our factory is certified in accordance with the FSC®, ift*, and PEFC™ codes of practice. Be convinced by our product variety! Our service: thanks to a well-stocked order-picking warehouse, we offer order-specific delivery to our customers! Do you have any questions about our products? Our qualified team would be pleased to give you advice! 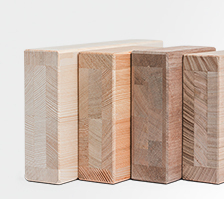 The delivery programme by Münchinger comprises more than 70 wood species from all countries in the world. 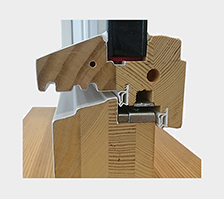 In our product portfolio, you can find top-grade glued window scantlings, laminated posts and beams, solid wood, modified wood, garden wood, deckings, mouldings and many other products. We would be pleased to give you advice on all topics concerning our products! 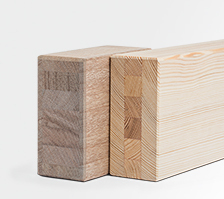 For more than 50 years now, we have focused on the development of top-grade innovative wood products. Our motivation is to provide our customers with individual solutions for demanding projects. We apply our guiding principles – quality, first-class service, sustainability– to all of our activities to keep our customers satisfied. Münchinger is one of the leading manufacturers of laminated scantlings ,mouldings, garden wood, solid wood, engineered wood materials and modified wood. We offer innovative products and customized solutions to craft and trade. We handle production, distribution and order picking in a sustainable and responsible way. Just order the desired sizes and quantities, our picker team will handle your order within the shortest delay! Our order-picking team handles each order individually and specifically.